I originally had another post scheduled for today, but I felt the urge to postpone it and just keep things simple for a minute. We quickly snapped these pictures with our phones before Robbie went back on tour after a short break at home. They're such perfect representations of our little family's life together right now. 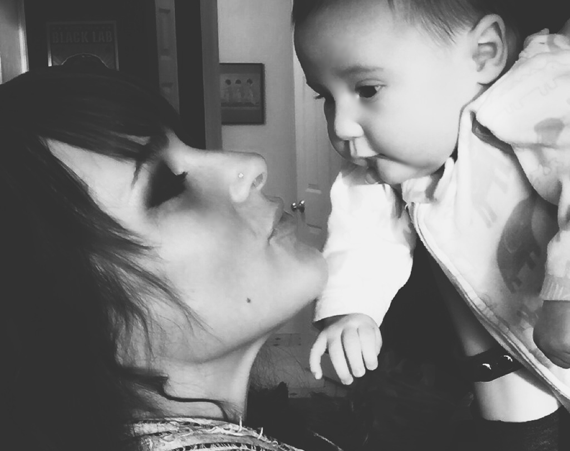 Essley is growing so quickly (everyone says that about their kid, but seriously you guys! ), and the more time passes, the more I appreciate those moments when the three of us are together. There aren't a lot of them right now, but maybe that makes them all the more special. Between our crazy travels (for both our jobs and for leisure) over the years and our crazy lifestyle of the past (we sure knew how to party), I never thought I'd find the greatest pleasure of my life in sitting on the living room floor with my husband, watching a baby make silly faces at us, or, like these pictures show, just gazing into the eyes of our little girl. These simple moments have, quite powerfully, taken over to become the best moments. I treasure them so much. so sweet. i feel the same way about my family. Thanks Katie. It's the best. 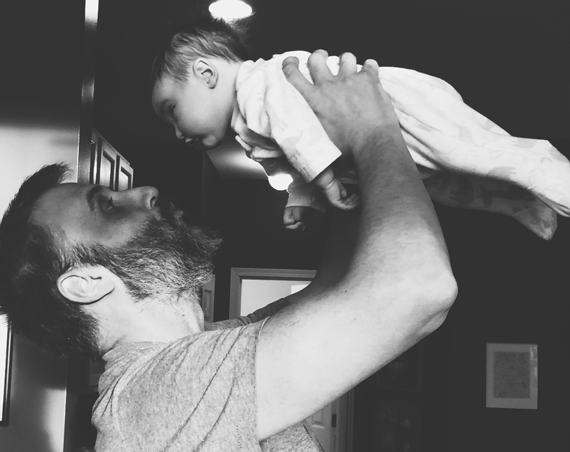 These photos are so precious, Melissa! Black and white photo's are my favourite and I love that flying photo! What a sweet family! Love little Essley's eye contact with a hint of a smile -- she clearly loves her Mommy and Daddy! Such a cutie! Enjoy these magical months. these photos are amazing sis. i love seeing your little family grow, it's so beautiful and I love seeing you so happy.